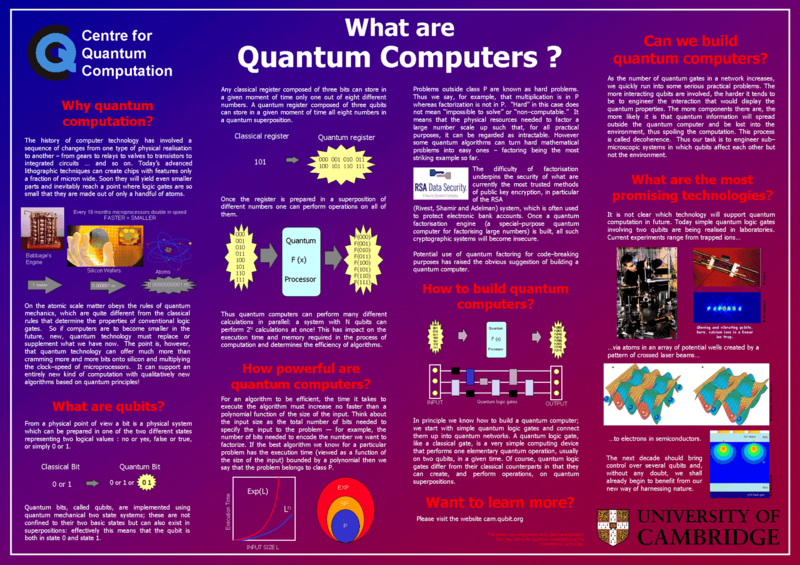 The developement of a viable quantum computer has long been a dream of scientists, it would revolutionise modern computing in many ways and thanks to an amazing breakthrough this month (Nov 2013) this dream has become closer to being a reality. 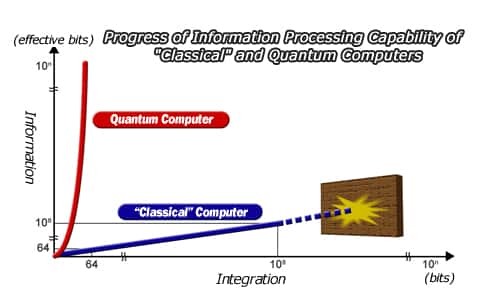 A quantum computer is a computer design that uses the principles of quantum physics. By using these principles scientists have been able to design computers more powerful than any computers designed using traditional methods. Quantum computers have been designed on a small scale but so far these models have not been suitable for practical use. This month physicists have managed to get a quantum bit of information to maintain it's superimposed state for ten times longer than what has ever been achieved before. This may seem like a very small step but according to scientists this is a breakthrough that has removed a major obstacle that has so far slowed developement. Producing a viable quantum computer that is capable of recovering from noise and other potential errors in now closer to being achieved than ever before. Physicists are continuing to work to resolve other issues such as finding a way to efficiently retrieve information that is stored in qubits. There is still work to be done, but this latest breakthrough brings us closer than ever before to the dream of super fast quantum computing. 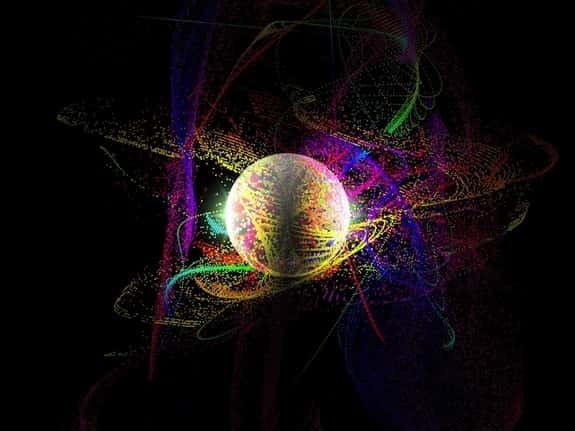 This is an artists impression (Stephanie Simmons) of a 'bound exciton' quantum state used to prepare and read out the state of the qubits.